Since 1902, the 9mm has been showing the world its prowess. Not only has it become the most popular pistol round in America, but it was used by several different nations' militaries and during both World Wars. This hearty and reliable round will get the job done, whatever it may be. 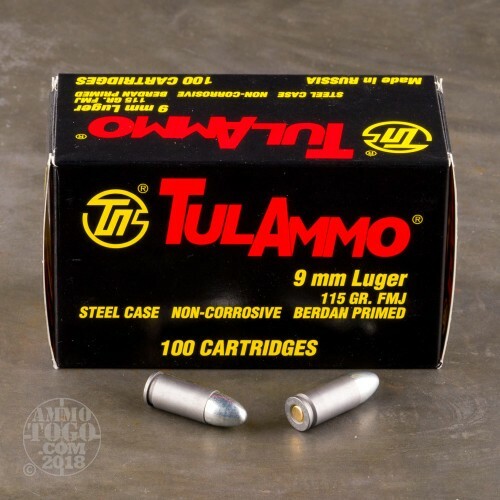 Tula has become very popular in the cheap ammo world. 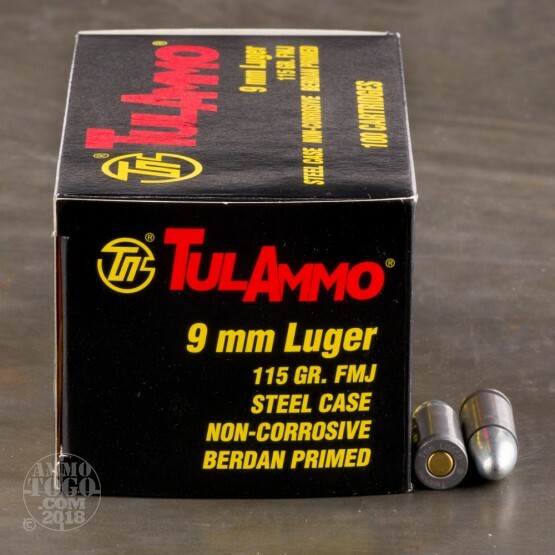 Russian made, Berdan primed, and steel cased, these rounds are much cheaper than many other rounds. They are not reloadable, however, but if you aren't interested in that, these rounds are a great buy. 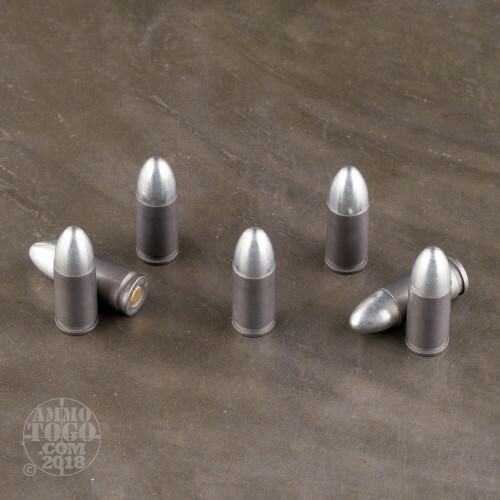 Firing at 1150 feet per second, this round is perfect for range training. 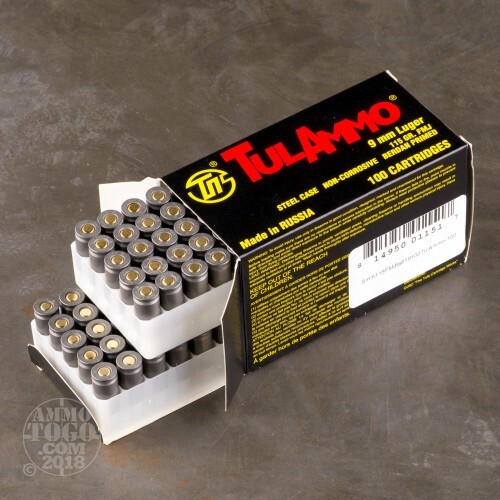 With 20 boxes with 50 rounds each, you are set for a long time of target practice. Don't miss out on this great deal! I tried these once but will never buy them again. In the box of 50 was a round whose primer was in backwards, Talk about a trust buster!